Brain evidence is playing an increasing role in criminal trials in the United States. An analysis indicates that brain evidence such as MRI or CAT scans – meant to provide proof of abnormalities, brain damage or disorder in defendants – was used for leniency in approximately 5 percent of murder cases at the appellate level. This number jumps to an astounding 25 percent in death penalty trials. In these cases, the evidence is meant to show that the defendant lacked the capacity to control his action. In essence, "My brain made me do it." Legal theorists have previously portrayed physical evidence of brain dysfunction as a double-edged sword. 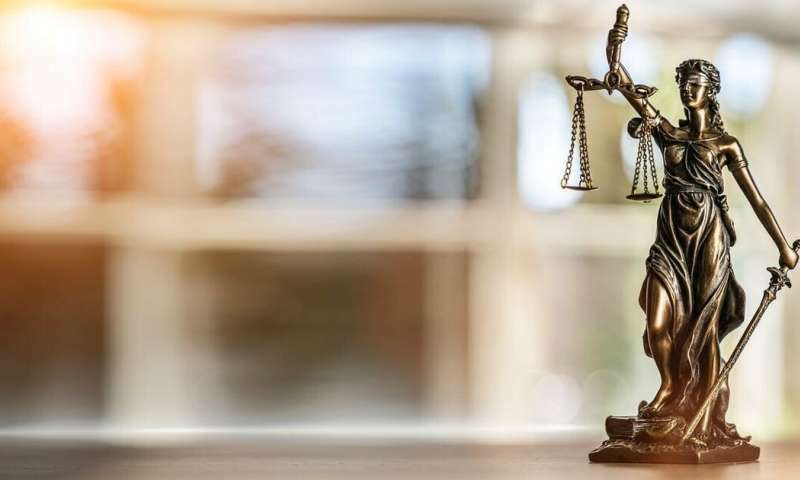 On the one hand, it might decrease a judge's or juror's desire to punish by minimizing the offender's perceived responsibility for his transgressions. The thinking would be that the crime resulted from disordered brain activity, not any choice on the part of the offender. On the other hand, brain evidence could increase punitive motivations toward the offender by making him seem more dangerous. That is, if the offender's brain truly "made him" commit the crime, there is an increased risk such behavior could occur again, even multiple times, in the future. Next, we filled participants in on the defendant's mental health status using evidence of an impulse control disorder described either as neurobiological or psychological, and treatable or untreatable. (These experimental conditions were also accompanied by a control condition in which the defendant was deemed healthy.) Participants could then alter their original criminal sentencing judgments by allocating time between prison sentencing and involuntary hospitalization, however they saw fit. It turned out that neurobiological evidence elicited both shorter prison sentences and longer involuntary hospitalization terms compared to equivalent psychological evidence. That is, for the same mental disorder, people assigned different levels of blame, moral responsibility and punishment based on whether they had a neurologist's testimony versus a psychologist's testimony to support the diagnosis. Our key discovery was that when mental health evidence was presented as having a neurobiological cause, laypeople assigned more importance to it. Paradoxically, this effect both favored and disfavored the defendant, depending on the punitive options available. 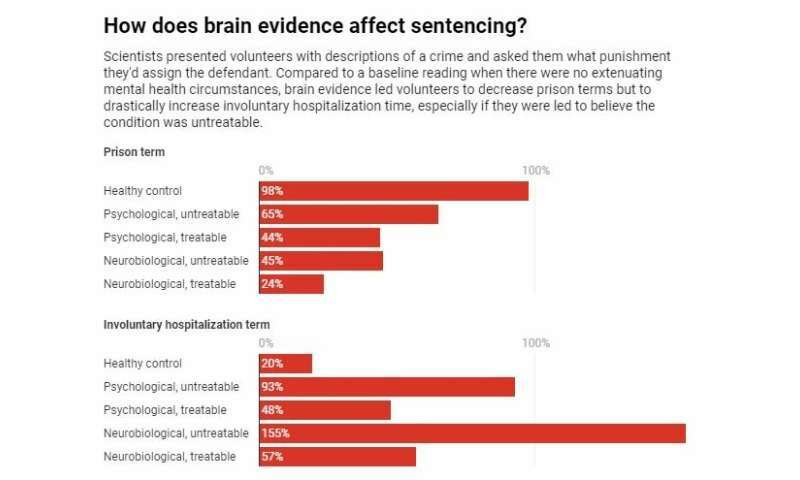 So while prison sentences may be mitigated by the presentation of neurobiological evidence, the same evidence may increase the defendant's risk of being involuntarily hospitalized. We accounted for this possibility by offering participants two punishment options: commitment to prison versus mental hospital. That's how we were able to identify that neurobiological evidence seems likely to result in a shorter prison sentence or a longer involuntary commitment to a mental hospital.